I have never had a cinnamon pickle before, but I'm up for trying most things once. They do sound pretty tasty! I would jump at the chance to try these. Yum! I've been making students try them just because. 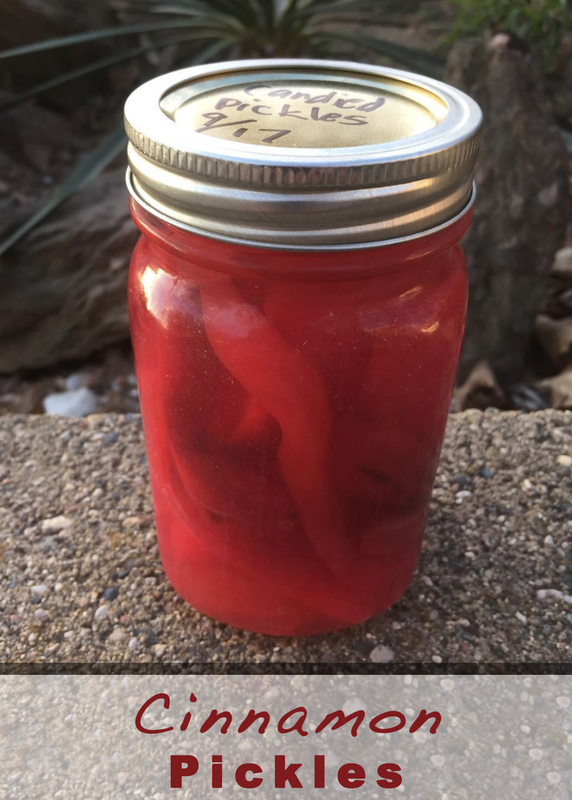 If you like red hots, you'll like these pickles. They don't have any dill. More like a sweet, with a little bit of spice to them. I love red hots, I would love these! I never heard of cinnamon pickles before, it would be fun to make them!